Need a new Liner. Let the professionals at Ewing Pools do the work. 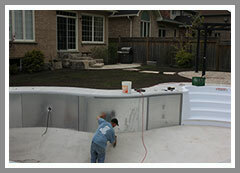 Ewing Pools has specialized in In-Ground Vinyl Liner Replacements for over 40 years. We custom measure each pool precisely to ensure a proper liner installation. We offer a choice of over 50 liner patterns. Visit our store showroom today to view our liner display. Need more than just a new Liner? How about a complete Pool-Backyard Renovation. 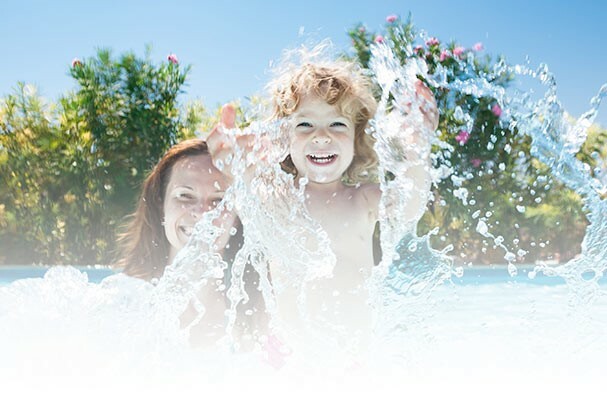 We offer major renovation services such as the removal and the re-pouring of the cement deck, pool bottom repairs, walk-in-step repairs, and the replacement of the pool coping, skimmer, jets and plumbing. We work with the best Landscapers, who can add landscaping features like Interlock Brick, Outdoor Lighting and Waterfalls to create your dream backyard. 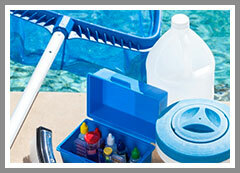 Often pool renovations include replacing the filtration and heating equipment. Today’s equipment is more technically and energy efficient. Digital Heaters. Energy Efficient with easy to use digital controls. Pumps. 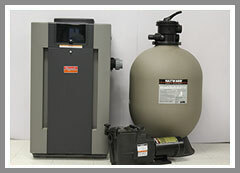 Save 30% to 45% in energy costs per year with a Variable Speed Pump. Salt Generators. Converting to a saltwater pool is better for your skin, hair and eyes, requires less maintenance, and is cost effective. 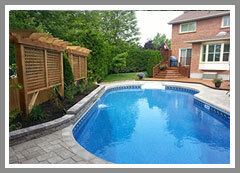 There are other options available to pool owners when renovating a pool. Deck Jets. Create an adjustable arc of water into the pool. LED Lights. Energy Efficient and durable, with bright rich colours. Robotic Cleaners. Easy to use, with a self-contained filter and superior cleaning ability. Safety Covers. Customers love how they look. Totally safe for children and pets.